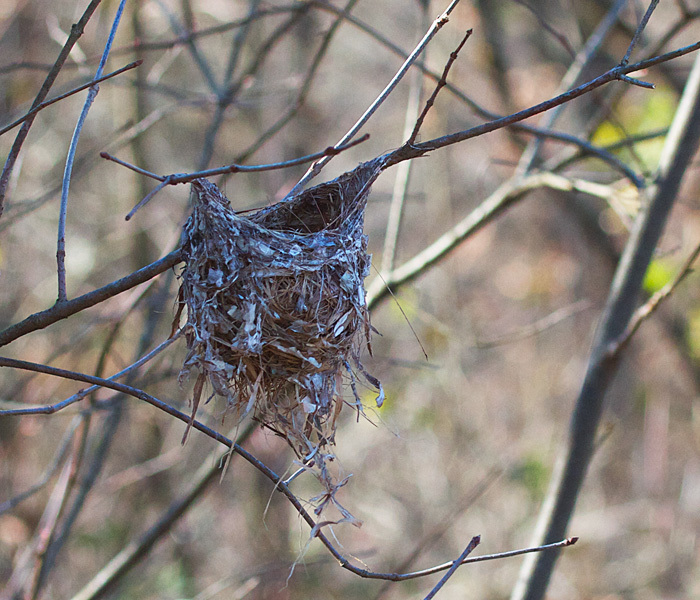 Now that the leaves are gone, this vireo's nest is so easy to see, right beside the trail, that I wonder how I could have missed it every time I walked past it last summer. 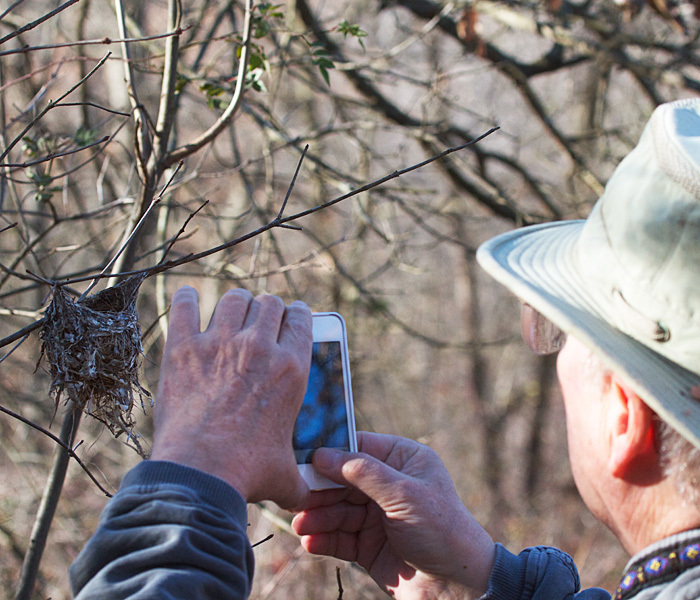 This picture of Michael photographing the nest shows how the nest is placed at human eye level. That is why my guess is that the nest belonged to warbling vireos. Vireos of many species suspend their nests from a fork in a twig, some close to the ground and some up high. Warbling vireos sometimes put them 5 or 6 feet above the ground. Vireos are more often heard than seen, and each species has a distinctive sound. 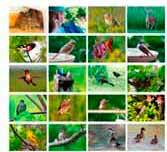 Birding By Ear CD teaches how to recognize birds by their songs. It's an especially useful skill for identifying vireos. There's a version for Eastern North America and one for Western.